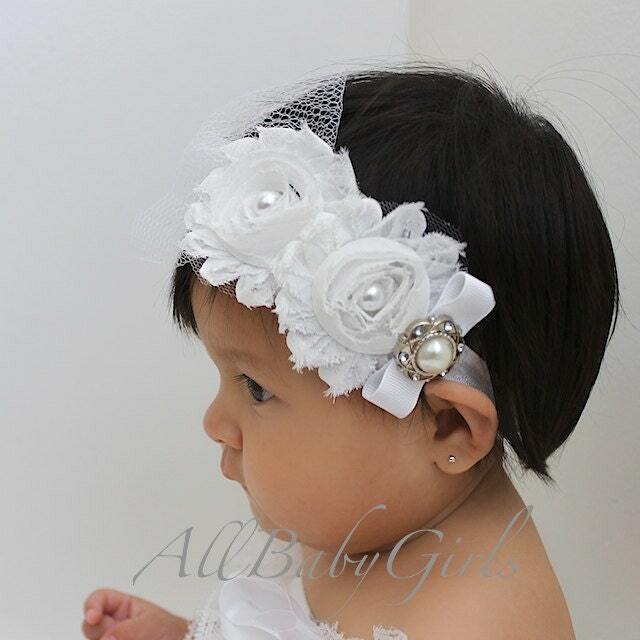 Baptism Headband, White Headband, Flowers Headband, Newborn Headband, Headband for Baptism, Flower Girl Headband, Flower Girl Wedding. 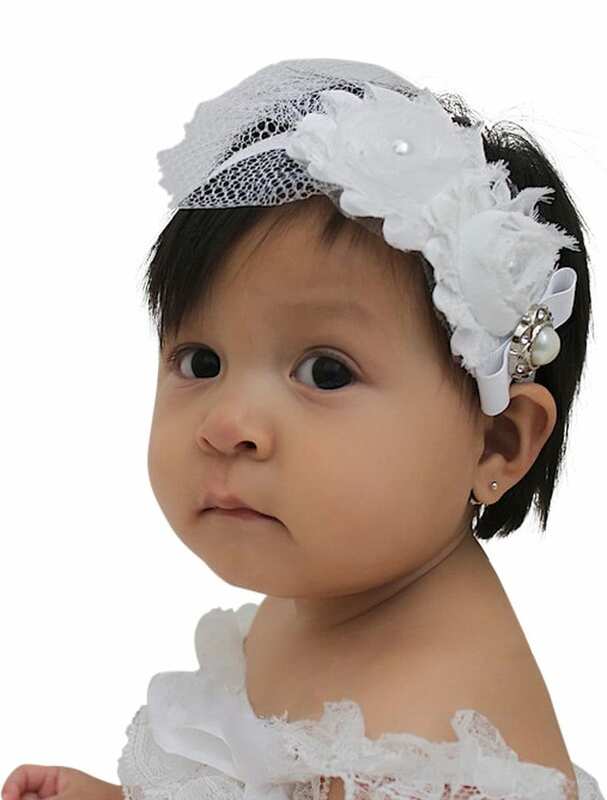 This Baptism Headband is designed with two white flowers in a row, topped with pearls and a bow with the rhinestone in one end. This is usually used for special or formal occasions like baptisms or weddings. 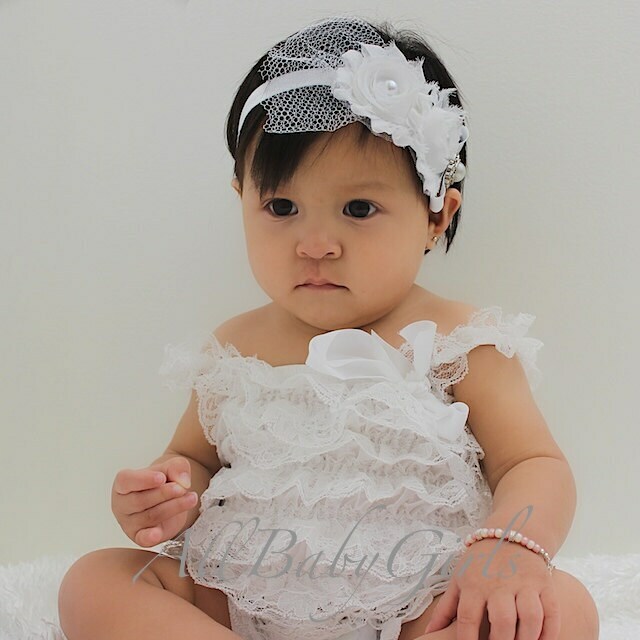 This head band was perfect for my daughter baptism! Thank you! Beautiful!!! Looked great on my daughter!!! Beautiful Headband. Perfect for a Christening or formal event! Love, love, love it! And super fast shipping!